The Sparks in action earlier this season. Photo: L.A. Sparks. Games 3 and 4 of the WNBA Finals between the Los Angeles Sparks and the Minnesota Lynx will be at Staples Center in downtown Los Angeles on Friday (6 p.m.) and Sunday (5:30 p.m.). 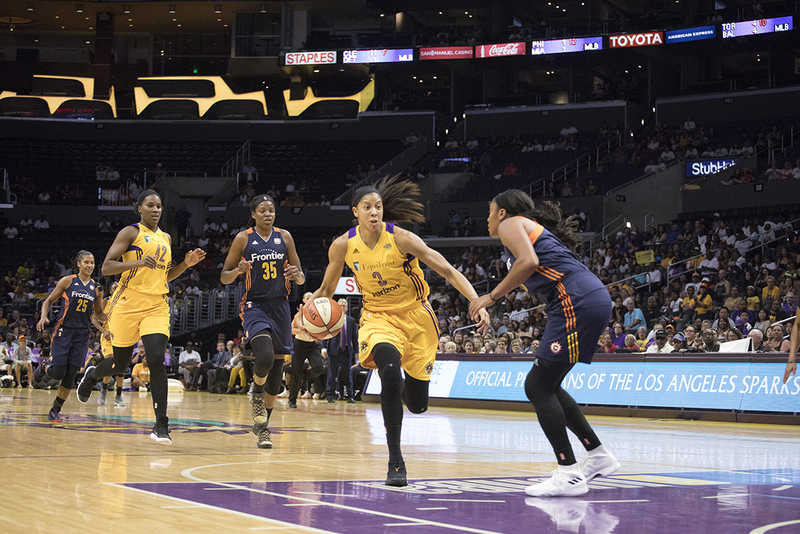 It’s a rematch of last year’s finals — won by the Sparks — with L.A. and the Lynx splitting the first two games by a total of three points. If you’re headed to the game and trying to avoid the hassles of DTLA traffic and parking, Metro is a good option. The Metro Rail and Busway map. Click to see larger. The Blue Line and Expo Line both stop at Pico Station, a five-minute walk from the arena. If coming into DTLA on the Red or Purple Line subway, transfer to the Blue and Expo Line at 7th/Metro and ride one stop to Pico Station and exit. 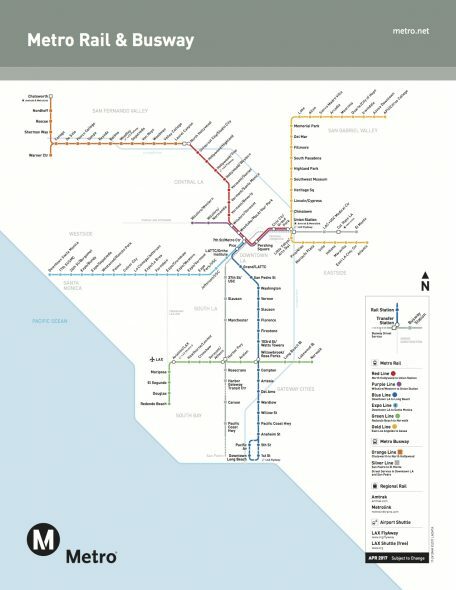 If using the Gold Line, transfer to the Red or Purple Line at Union Station and then to the Blue or Expo Line at 7th/Metro and exit at Pico Station. Silver Line buses also stop adjacent to Staples Center and the area is served by a wide variety of other Metro bus lines. The regular fare on Metro Bus and Rail is $1.75 and includes two hours of free transfers. You will need a TAP card to ride — they can be purchased at the TAP vending machines at all Metro Rail stations. The fare for the Silver Line is $2.50 and requires use of a TAP card. I am excited to take my daughter to see a game this weekend! We’ll be taking Metro.